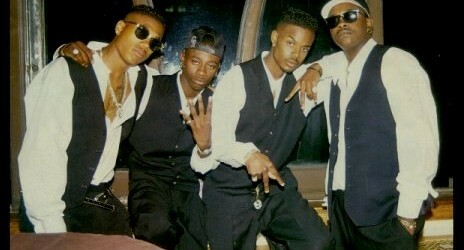 For me, one of my favorite R&B groups has always been the incomparable Jodeci. The first time I can remember hearing their music was when I was super young, probably like 4 years old. They were already popular and many people were already big fans, but for young True, Jodeci was still an unknown group. I remember riding in the car with my mother and she was playing the radio. The slow sound of "Stay" came on and with me somehow being musically inclined at that young age, I took a liking to the song. Instantly. Maybe it was the smooth production, maybe it was the way the vocals were arranged, it's hard for me to pinpoint. I just knew the song was good. I'd end hearing another song from the same group a little while later, in the same scenario. Riding in the car, radio playing, and then "Forever My Lady" comes on. When I first heard the sounds of it, much like I felt with "Stay", I was instantly a fan of it. I hadn't fully grasped what the New Jack Swing sound was yet in my youth, mainly because I was too young to understand what it would entail, but I knew I liked how the music sounds. 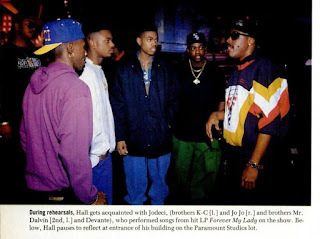 Fast forward some 24-25 years later, and my feelings about the music of Jodeci is not much different than it was then, but with more understanding. While Jodeci would lock down the R&B game in the early to mid 90's, in retrospect, their music was the soundtrack for the final stage of the New Jack Swing era. Hip hop mixed with R&B and a bit of soul infused into it. 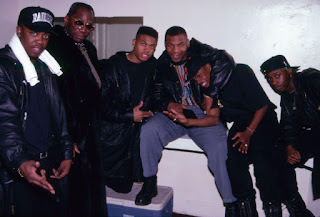 Unlike the usual New Jack Swing artists, there weren't the flat top haircuts and suits in every promo pic or a smooth style that made them appeal to a more commercial crowd. Jodeci was simply rugged R&B and their look felt more hip hop than anything, which gave them an edge that appealed to a tougher demographic and another audience. 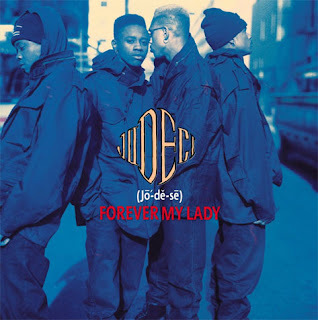 With all those things working for them, when Jodeci released their first album "Forever My Lady" in 1991, I don't think anyone could have predicted how big of an impact this album would have. To many, myself included, it's one of the best R&B albums of the 90's, and honestly has a place in the all time rankings for best R&B albums ever if we're being honest. 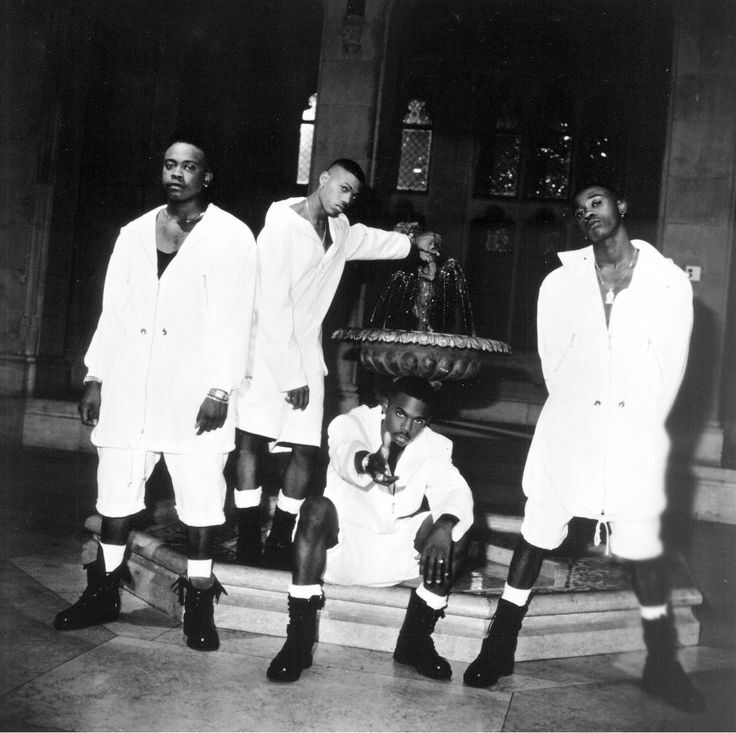 Today, we wanted to revisit their classic debut and look at the album that made Jodeci a household name. Let's get into it. The album's sound was an extension of the ever so popular New Jack Swing sound, as member and main producer of the group DeVante Swing worked closely with New Jack Swing artist and producer Al B. Sure to bring an entirely different vibe than the norm. 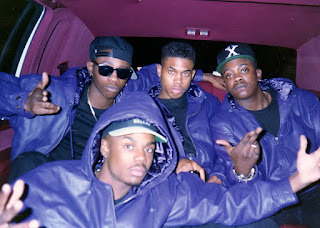 The beats ranged from booming seduction to laid back and easy riding, with the melodies provided by DeVante being the basis of the entire album. The vocals weren't necessarily the most impressive, but that's what made the album work so well: The production helps to carry the simple yet effective vocals. 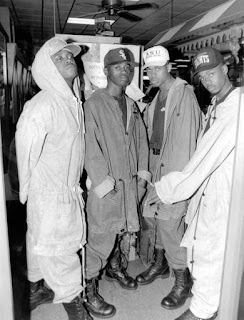 The ability of Jo Jo and K-Ci to find the rhythm and vocally carry along with it is what made Jodeci so much fun to listen. Every track on this album benefits from the solid production and it's my favorite thing about the album. 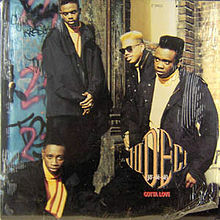 It's the epitome of the early 90's R&B sound that they helped to cultivate with this release. It's always a bit tougher going through R&B albums and their tracks one by one, but let's examine this album and their tracks, minus the interlude which really doesn't need a rating (though it's still pretty solid regardless). -My personal favorite on the entire album. The way they put this together is classic. The lyrics set the tone as the group beg their lady to stay with them after a mistake. It was their introduction into the world of "R&B begging", which had been perfected by New Jack Swing artists like Guy and Keith Sweat, but this is the most simple of them all. The group sings to their ladies and the harmony is on point for the entire duration and every verse inspires you to sing along. Say what you want about R&B singers that beg their women in songs, but there's no song quite like this one in that regard. -This song is an all time classic, 90's R&B, R&B, or otherwise. The smooth production that starts with a great melody and leads to those boom bap like drums is perfect. The hook is one of the most infectious I've ever heard, as the simple sounds of "Come and talk to me (my baby), I really want to meet you" never sounded better. 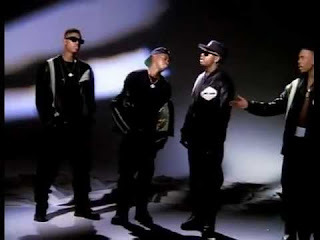 Jodeci mastered the harmony and smooth infectious hooks, and this is the best example of them executing on the entire album. -Al. B Sure really did this group justice with this hit. The slow melody mixed in with the lyrics and the overall premise works well. It's literally a dedication to the love of your life, who is pregnant at the time. 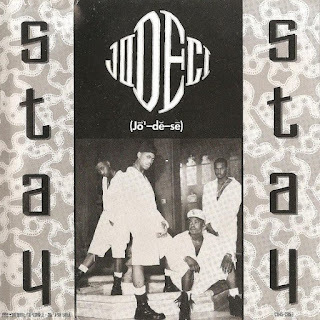 It's a very well written song (Al B wrote it at the time his son was on the way), and Jodeci executes this perfectly. The bridges, the verses, the hook, everything flows together to make this a true classic and a great follow up to the first two classic tracks. 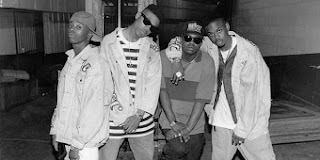 -One of the more solid singles from the group showcases them simply at their best. It's not much I can say about this one that I haven't said about the first three tracks on the album. The production, the vocals, the harmony, the sound, and the hook all flow together perfectly for this one. Another favorite of mine on the album and yet another track that doesn't seem to have a flaw. -Starting off with a Spanish intro from a seductive lady's voice, the production is slow and smooth, as Jo Jo starts the track off with a solid opening verse. The song is just a smooth listen from beginning to end, and there's really not a flaw in anything from the vocals, the production, or the harmony. Another classic in the first half of this album. -The first track on the album that really embodies the traditional New Jack Swing sound, this is a welcome departure from the slow and smooth rhythms of the first half of the album, but this is also where the album takes a slight drop in quality. Jodeci is at their best in the first half of the album, that slower and smoother style, and while many fans love this song, it just doesn't do it for me. Still a solid track, just really steps the vibe the first half brought, which was intentional, I just wish the transition was better. -I remember when I first heard the album and this song, and I was really taken aback by it. 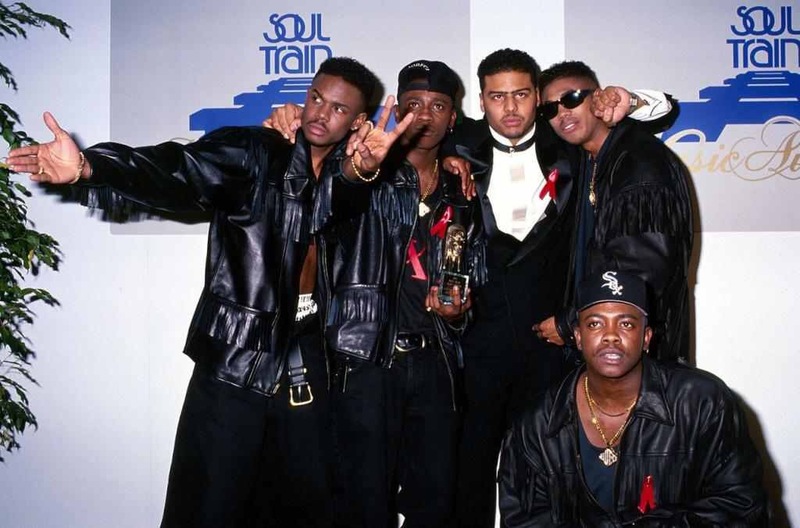 It's pure New Jack Swing, and it's dope, but it just doesn't fit for some reason. It sounds slightly forced and it would be the basis of the second half of the album, which does not work as well as the first half. This was a single, and while it didn't take off like the others, it still saw some success. However, a big reason for the song not reaching the heights that the slower, more seductive songs did is because the group was not at their best on this type of tempo. -While I liked this song, something about this just didn't connect with me the way the others did. Don't get me wrong, I love New Jack Swing and as a standalone song, this is really dope. However, compared to the rest of the album, it pales in comparison and that's where things falter. It's a solid song, and the vocals are pretty good as is the production, but this song doesn't do much for me. -I like this song, and you can hear the group sounds a little more comfortable on this track with the traditional sound, but what's messing up the vibe here are the verses. The verses just don't pop to me, but the hook and the bridge are almost perfect atop this upbeat production. So much can be made right with an infectious hook, and this song benefits immensely from that as K-Ci goes off in via adlibs also, which makes the song even better. A good song, not great, but a step up from the brief fall in song quality in the album. 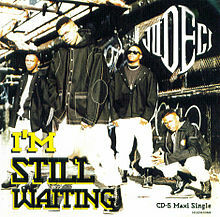 -This is the most comfortable that Jodeci sounds in that traditional New Jack Swing sound on the entire album so far. The hook is infectious, the verses work well, and I really enjoy the vibe on this one. I think the best thing about this track is that both Jo Jo and K-Ci coast over the fast paced beat and the way they lead into the hook is very smooth. 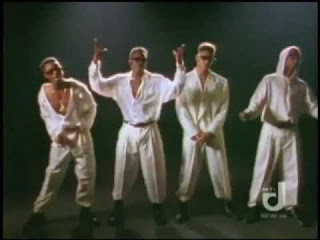 It's your standard New Jack Swing song, but for Jodeci, it works. 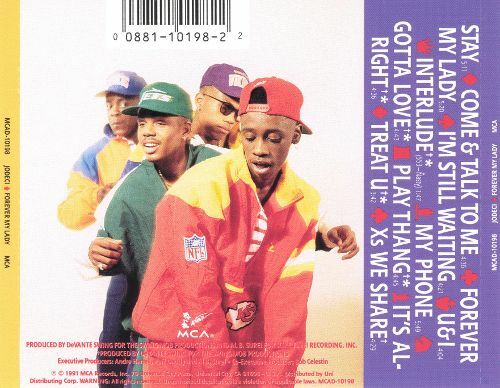 I'd rank this in the top 5 or 6 songs on the entire album probably, because it's a pleasant departure from the forced feel of the previous tracks that go for the traditional New Jack Swing vibe. -I think this is another great song after a small break in the album. 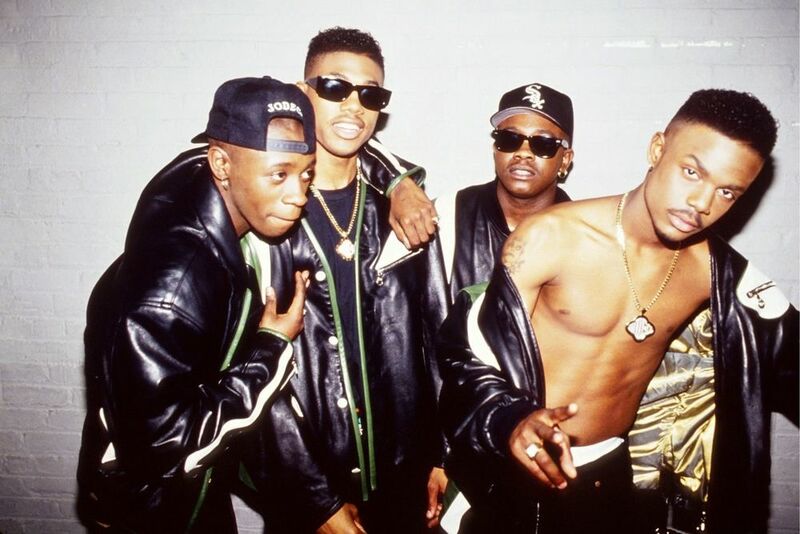 Jodeci has one small drop in quality in the album, and then it picks right back up after that and has a streak of solid tracks one after another. This is pure 90's R&B and New Jack Swing at its finest. 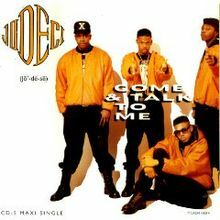 K-Ci has one of his best vocal performances of the album on this track, backed by the extremely infectious hook and solid production. -This track has nice production, but something about the cadence and the vocals here just doesn't seem to work as well. The hook is solid, but this song feels like it's missing something. It's hard to pinpoint exactly what the song is missing honestly, but it just doesn't stick out like the previous few tracks and honestly was not the best way to end the album IMO. This album is the one by which Jodeci's legacy is usually measured. It's the album that introduced the world to this great group and their own brand and sound. Forever My Lady is classic for the impact and the hits, and one of the best albums in 90's R&B, but it's not perfect. There's a few missteps or songs that slightly miss the mark, but on this album, the highlights make it all well worth it. The first stretch of the album and that final stretch near the end make it a nearly flawless album, and if they didn't have that stretch of songs that didn't really work, I'd crown this album as a top 10 R&B album ever honestly. 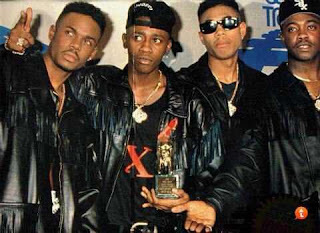 Still, that takes nothing away from the impact of this triple platinum landmark debut in the career of one of the biggest groups in R&B history, and arguably the best. Long live Jodeci.